PokerStars continues to tweak its offerings, popping the cork on a new tournament feature. And when I say tweak, I mean just a little tweak. The new feature is the “Early Payout Tournament,” which is exactly what it appears to be from the name. In an Early Payout Tournament, every player remaining in the contest receives the minimum cash amount as soon as the money bubble bursts. The tournament then proceeds as normal and when players are knocked out, they receive the difference between the minimum payout and their total payout amount. That is, they get the remainder of the payment that they are due. PokerStars displays a pop-up message at the table to remind the players that they have received the min-cash. Funds are immediately deposited in players’ accounts. While nice, I guess, the Early Payout Tournament feature is clearly not a big deal in the slightest. Everyone is going to receive their money eventually, so whether it is a little of it immediately or all of it a few minutes or a few hours later is really going to meaningless to most people. 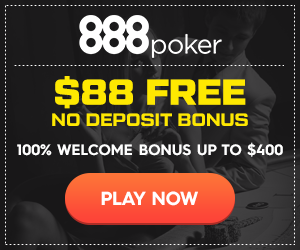 The idea behind this is to allow players who may have used the last of their funds for the tournament buy-in to be able to instantly have money in order to quickly join another tourney, cash game, or Sit-and-Go. It is positioned as a good thing for players, which I suppose it may be, but it is pretty clearly a way for PokerStars to encourage people to get their money back in play as quickly as possible to keep the rake train chugging along. The Early Payout Tournament will not likely affect a high percentage of tournament players. It will specifically affect those who are out of money on deposit and are really jonesing to enter another game as they are still playing in the tournament. Most players on PokerStars won’t really care about Early Payouts though, as they won’t a) be totally out of money, and or b) have the uncontrollable urge to register for another game right then and there. Most players in the Early Payout Tournament will see the message about the minimum payout, say, “Huh. Ok,” and keep playing. I wouldn’t be surprised, either, if some people are confused and start worrying that they are only getting a min-cash (though most people won’t be that in the dark). It has been a gradual rollout of Early Payout Tournaments for PokerStars, as more than half of its multi-table tourneys including the feature right now. Assuming the feature works as planned and no bugs are found, it will rollout to all of PokerStars’ sites over the coming months.